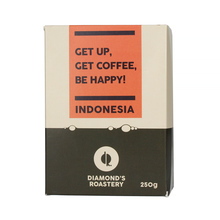 Diamonds Roastery is a speciality coffee roastery from Slovakia. It all began in 2014, when Tomas and Dasa started experiments with green beans and a simple popcorn roaster. Curiosity quickly turned into a passion that was supported by proper education. 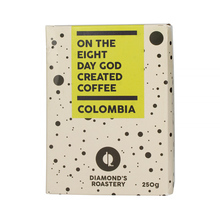 After investing in better roaster equipment, it turned out that the effects were more than satisfactory. 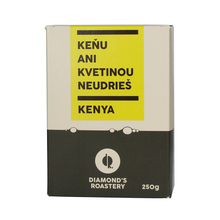 They decided to open the roastery in 2016. 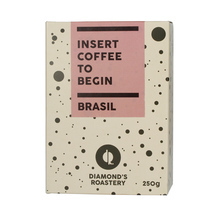 Today, Diamonds Roastery offers fresh high-quality beans from various regions of the world, roaster for filter brewing methods as well as for espresso. 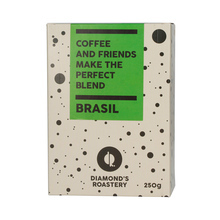 250 g Brasil Colombia Indonesia Kenya Whole bean Natural Washed light medium Espresso Pour over (Alternative brewing methods) Sort by: Price (Low to High) Price (High to Low) Product name a - z Product name z - a Highest rate Lowest rate New in!